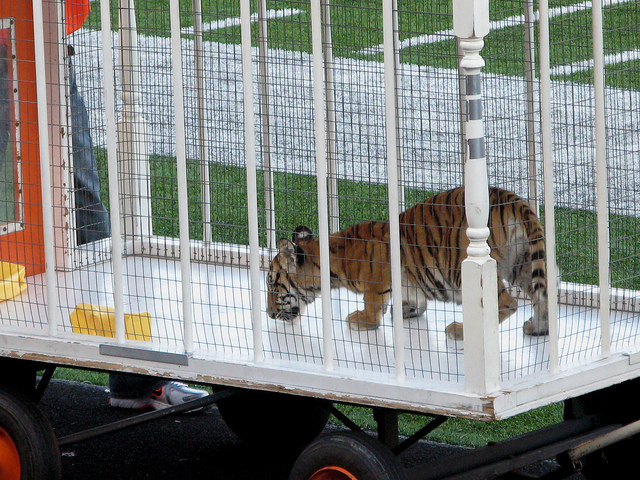 The dumbing of America is never more present when “traditions” at High school football game in Ohio wheeled a baby tiger in a cage to thousands of screaming fans. For 44 years, ignorance and stupidity have been the norm at Massillon Washington High School. 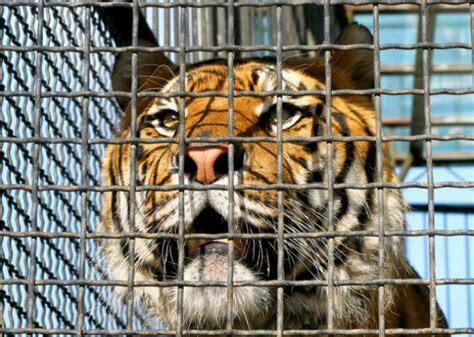 The new “Obie,” a baby tiger is kept in a cage and wheeled around a loud stadium. 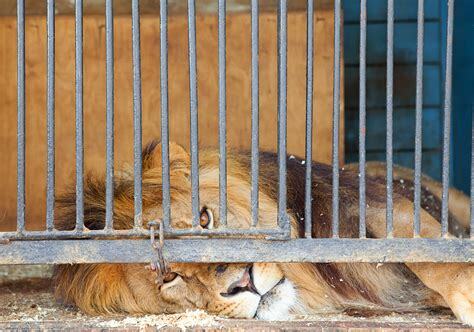 He is the latest victim of a cruel tradition that violates animal cruelty and ethics. 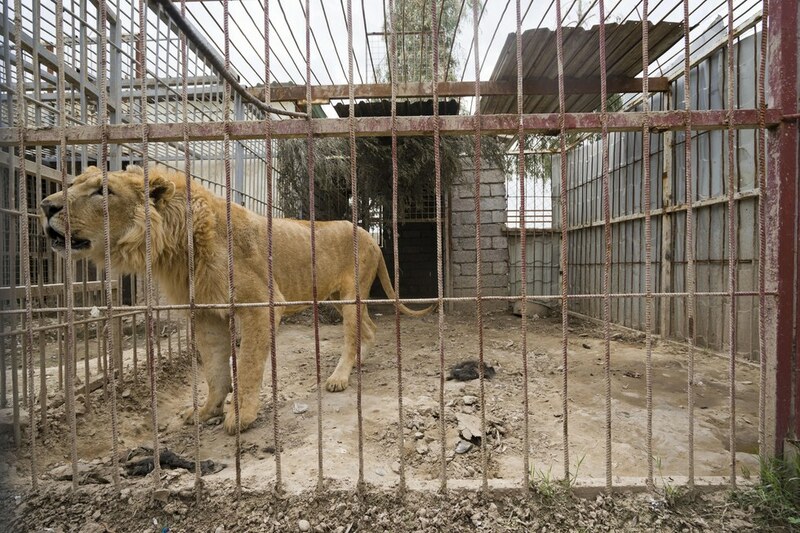 The cub stands up and puts his paws on the bars of his enclosure as ignorant people scream, shout and take pictures. 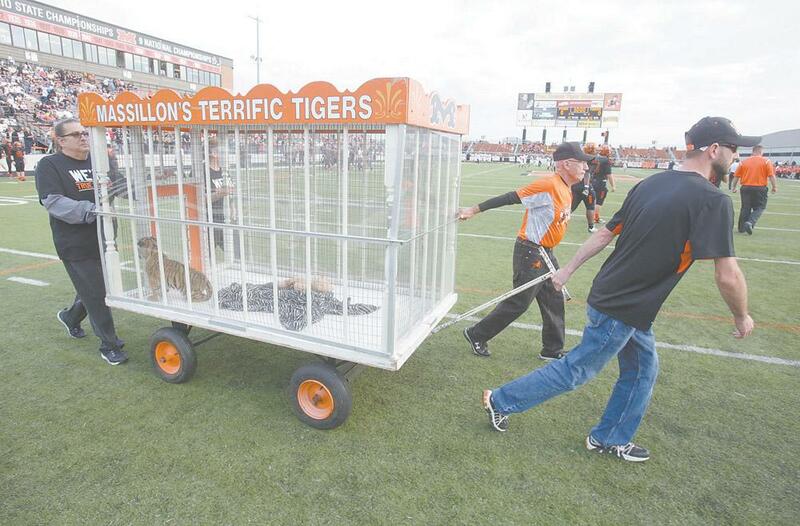 Every year Massillon Washington High School acquires a new tiger cubs and has been accused multiple times of discarding the tiger cubs after the season is over. 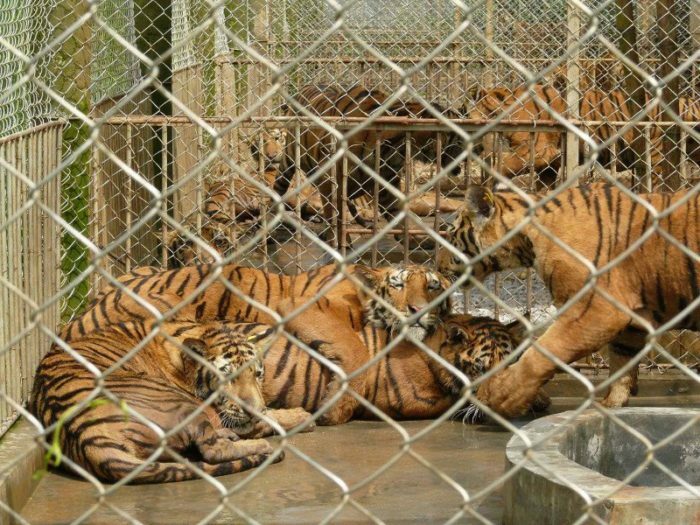 It is believed that after the football season is over, these “Obie” tigers are sold to private owners, wind up as caged roadside attraction, become breeding animals, pets or sold to canned hunting operations. 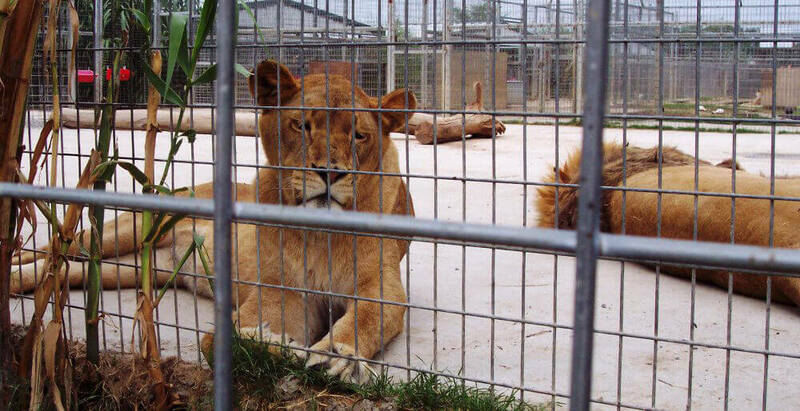 Animal conservationists have questioned about the legal loophole for educational institutions that allows them to have exotic animals, and a number of petitions protested the tradition. 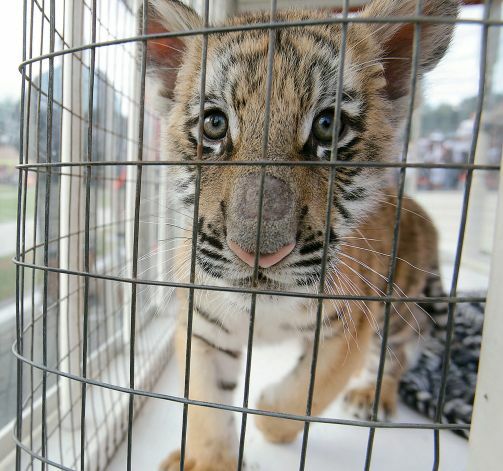 Despite this, the Massillon Tiger Football Booster Club unveiled a new cub mascot, called an “Obie”and is keeping facts about this recent appearance private, they refuse to disclose where the tiger comes from. IS THIS LEGAL? Matt Keller, president of the booster club, told the CantonRep.com. “It’s a tradition we were able to continue, even if just for one game. 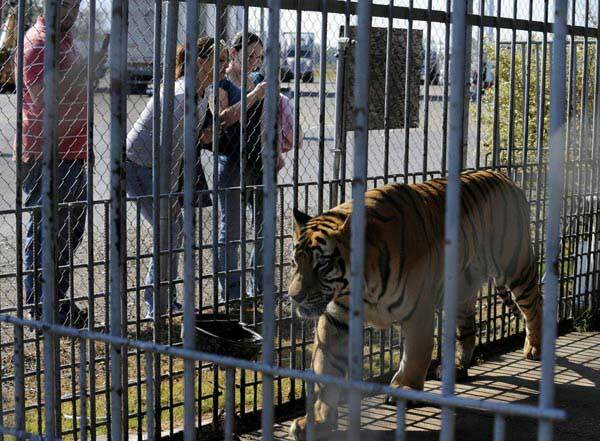 There is an estimated 5,000 tigers are held in captivity throughout the United States; 95% of these animals are privately owned.